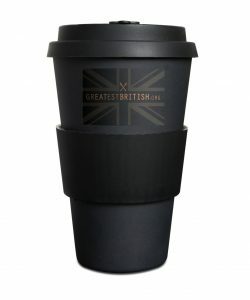 Go-Reusable Eco Hot drinks mugs are inspired by the pressing need to reduce the world’s dependency on single-use cups. Every year around 500 billion disposable cups are made and discarded globally! Biodegradable, taking two to three years to biodegrade when crushed and buried, as opposed to hundreds for some plastics. Recyclable where facilities exist (recycling code 7). Light yet durable, so easy and practical to carry around. Made from a rapidly renewable resource – Bamboo is one of the fastest growing natural prodcuts and requires little water to grow. If all of this is not enough, you also save min 25p off your coffee purchase at most retail brands. Don’t be a mug, wake up and smell the coffee, order one today! Order today here.